Jon Jinks is society’s paradigm of the ‘ideal man.’ The charitable heir of Allentown, a hard-working house painter and a devoted spouse, he exists in a wonted and repetitive reality. But when an unexpected encounter with a malfunctioning ATM threatens to unravel his very distinction between right and wrong, Jon begins to wonder: is he really the honourable keeper of the morality compass? Or are the temptations of a prodigal world of make-believe and fantasy just too enticing to ignore? 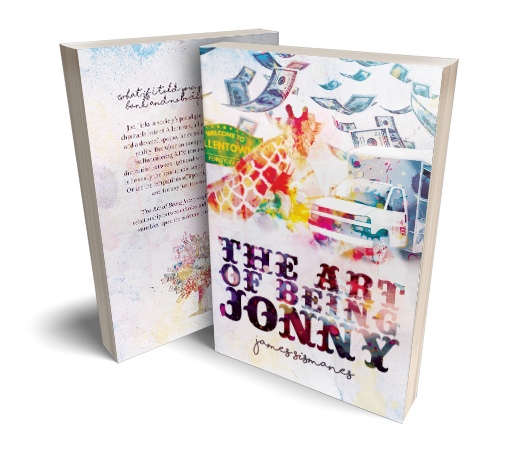 The Art of Being Jonny explores the intertwining relationship between choice and consequence as one man stumbles upon the ultimate journey of self-discovery.